Will Jason Castro survive on “American Idol? It’s Idols and a television icon as reality rules the small screen. What do you think? Find out tonight if it is Jason Castro’s last night on “American Idol?” But, you’ll have to wait until after “‘Til Death” and “Back to You” on Fox. Speaking of wives. 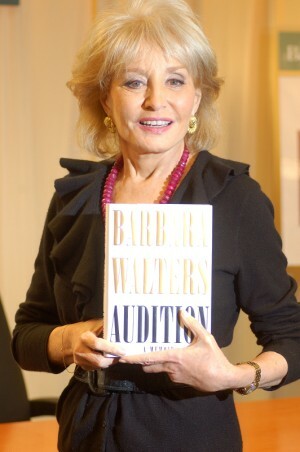 . . ABC has “Wife Swap,” “Supernanny,” and “Audition: Barbara Walter’s Journey.” Walters has a juicy book out and divulges details on this ABC special. On Bravo it’s “Here Comes the Bride” as the “Top Chef” contestants cater a wedding. Travel Channel looks for treasure at 10:00 and it’s “The Big 4-0” on TVLand at 10:30. — Talks between studios and SAG (Screen Actors Guild) ended yesterday with no meeting of the minds. Could there be another strike looming in the future for the entertainment industry? Not something anyone wants to think about. — MSNBC is reporting that Ryan Seacrest is in “serious talks” to take over the “Larry King Live” show. Huh? SheKnows had recently heard that King signed a deal keeping him with the network until 2011. — According to TVGuide “House” may be gearing up for a spin-off about a private investigator who will be introduced with a short story arc on the medical mystery drama.